Be sure to close all your important deals in style with this beautiful leather portfolio. 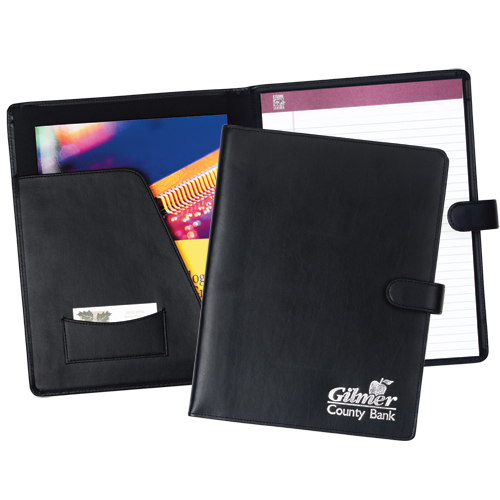 Features include a magnetic snap with a strap closure, writing pad, card and paper pockets, and a pen loop. Imprint area: Outside cover and inside 4" x 3"